ISLAMABAD — The environmental impact of China-led coal-fired power generation projects in Pakistan is once again a hot topic of debate, weeks after a meeting of government officials from both sides. A raft of Chinese power projects, including coal-fired ones, have begun to ease the acute electricity shortages that dogged Pakistan’s industries and consumers until five years ago. At one point, power cuts lasted for more than half a day in the country’s major cities. Now, blackouts have been reduced by half or even more, according to a government official. Yet, environmentalists are up in arms and blame China for exporting pollution. "It is China exporting messy projects to Pakistan," one environmental activist in the southern port city of Karachi said. "Rather than relying on coal-fired plants on their own soil, the Chinese have decided to export these problematic plants to Pakistan." Beijing’s presence in Pakistan has been a constant source of conflict within the country. This is in large part due to power projects it has planned under its $62 billion China Pakistan Economic Corridor, which forms a crucial part of Chinese President Xi Jinping’s ambitious Belt and Road Initiative. Newly planned electricity generation projects were meant to showcase vast benefits for the South Asian country. In mid-January, Chinese ambassador to Pakistan Yao Jing attended a meeting with Minister for Planning, Development and Reform Makhdum Khusro Bakhtyar in Islamabad, during which both declared 2019 the "Year of Economic Cooperation." But such cooperation has given others second thoughts on China-led projects they criticize as having little consideration for the environment. Analysts say the projects lack transparency and warn that Pakistan has been making blind commitments. "One of the biggest issues is that we just don’t know the full details [of agreements involving CPEC projects]. Unless that concern is addressed, we remain in the dark on where these projects will head in the future and how coal will impact our country," said Kaiser Bengali, a prominent Pakistani economist. A senior government official in Islamabad rebutted such criticisms and instead pointed to the economic benefits of the deals with China. Pakistan now relies on imported coal, but it hopes domestic production will pick up so that the country can save large amounts of money spent on energy, he said. "If we can make this transition from imported to domestic fuel, that will help Pakistan reduce our bill for energy imports, and that will give us a very major advantage." But Bengali said the government must assess the environmental impact of not just coal production but also transportation of the fuel. Coal is imported via one of Pakistan’s ports along the country’s southern coastline and supplied onward by train to coal-fired projects located in the hinterland. "There are many aspects of how the environment will be damaged," he said. "These range from direct emissions when coal is burned to the effect on the environment when coal is transported." Many experts believe that the Pakistani government will defend its commitment to CPEC projects. It will likely argue that coal emissions from Chinese power plants "are just a minority within overall emissions across Pakistan. This will be meant to pacify criticism over Chinese coal plants," noted Abid Suleri, an economic adviser to the government who heads the Sustainable Development Policy Institute, an independent think tank. Suleri, however, also called for more openness about the projects. "Overall, we need to have greater transparency on CPEC-related investments in Pakistan," he said. Some Western diplomats who regularly track economic and investment trends in Pakistan go further, saying that detailed assessments of Chinese investments on the environment may not even have been undertaken. "There is a range of risks to the environment with any new infrastructure project. CPEC investments are mostly infrastructure," one diplomat said. 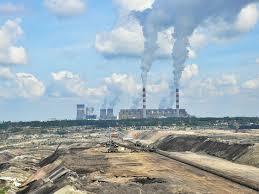 "Coal-powered plants pose the biggest environment risk. There should have been detailed assessments before Pakistan and China decided to take them on." Others said Islamabad is in thrall to Beijing in part due to China’s clout as the main supplier of military hardware to local armed forces, apart from being the largest source of foreign investment. In other words, it is a relationship that Islamabad would not want to damage. "It is possible that Pakistan may take up different issues with China from time to time, but this is done very discreetly," one senior foreign ministry official told the Nikkei Asian Review. "I don’t think there can be an abrupt change to our commitments to China. This partnership [with China] is vital for Pakistan’s present and our future."